The GEHWOL line has been in existence for almost 130 years, indicative of its high quality and efficiency. 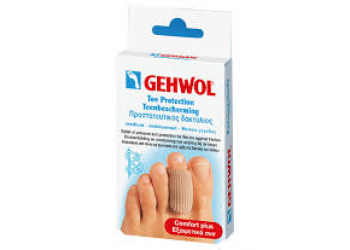 As denoted by its German name, which means ”WALK WELL”, GEHWOL products have been developed and researched extensively in order to preserve and maintain the beauty and well-being of the feet. 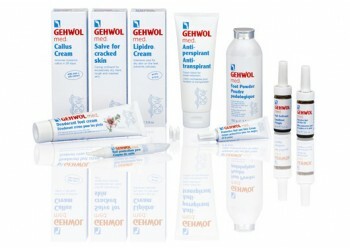 The GEHWOL line is based on natural plant extracts, herbs, essential oils and GEHWOL’S own special ingredients. This Gehwol Express Foam will provide instant moisture for dry skin. Absorbs rapidly and does not le..
Gehwol Med Sensitive is special care which was developed specifically for dry and sensitive skin.Wit..
Spray gun for 1000ml Gehwol bottle..
Gehwol pump for 1000ml bottle.. The scrub gently and thoroughly removes dead skin cells.. The GEHWOL FUSSKRAFT Herbal Lotion cools and refreshes tired feet while softening calluses and preve.. The well tried combination of active ingredients such as mountain pine oil, lavender oil, and rosema..
GEHWOL Foot Bath refreshes and stimulates the feet with oil of rosemary and lavender. It counteracts..
For strengthening, protecting and repairing toe nails. Gehwol Nail Compound can be used to smoothen ..
Gehwol pump for 500ml bottle..
GEHWOL FUSSKRAFT Green contains the active substance complex Deozinc in a rapidly absorbed, nourishi.. 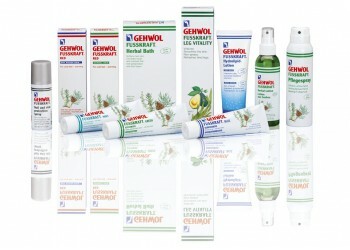 Skin friendly emollient emulsion, lanolin, glycerin, aloe vera, urea, oil of rosemary, oil of mounta..
Refreshes the feet before or after an active day through a combination of revitalizing icy freshness..
Gehwol Lotion is a disinfectant formula intended for cleansing and refreshing the feet before a..
GEHWOL FUSSKRAFT Hydrolipid lotion is an easily spread lotion for the daily care of legs and feet. T..
With daily application, rough skin becomes smooth and elastic, skin discoloration is prevented, and .. The warming balm for dry skin gives relief for tired, strained and sore feet. Revitalizing camphor, ..
Soft and tender skin is a sign for youth and attractiveness and the goal for every age group. GEHWOL..